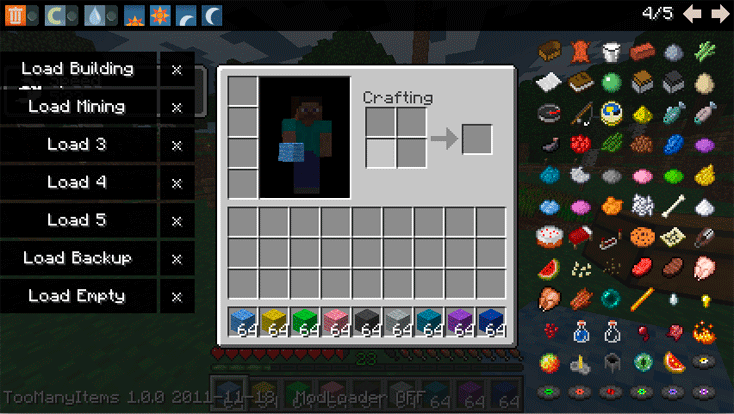 After a long time, Marglyph has finally released TooManyItems mod for Minecraft v1.4.7. This modification allows you to get your desired item in your inventory by selecting from the menu. It supports both single and multiplayer and is compatible with many other mods (including Survival). – If you are having any troubles, issues or crashes while installing TMI in Minecraft 1.4.7, post a comment below.